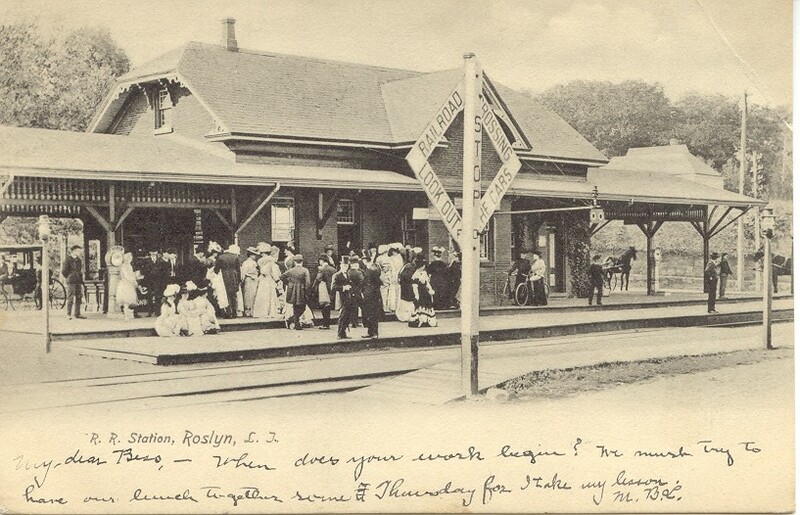 Roslyn Depot, Long Island Rail Road c.1900. The LIRR opened up Long Island providing a fast way to commute between rural areas in Queens, Nassau and Suffolk Counties and New York City. 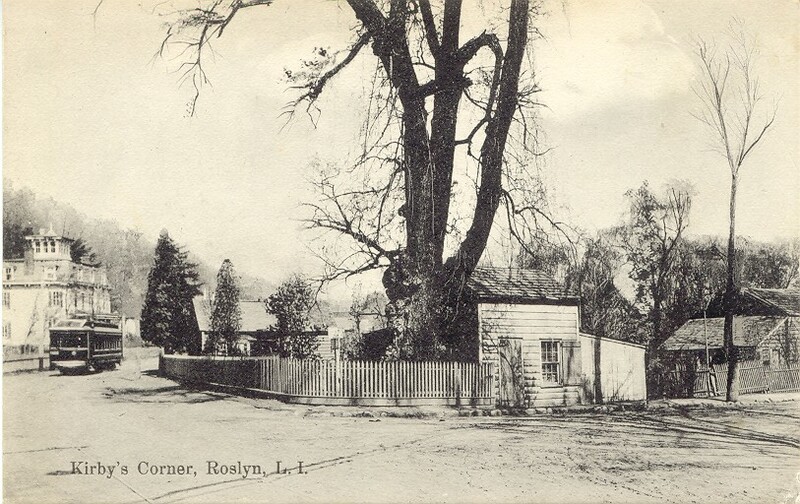 Roslyn Post Office c.1905. Junction of Bryant Ave and East Turnpike (Old Northern Blvd). There was actually a drive in window on the east side of the building (your right in this view) where a person could drive up with a horse and buggy and pick up their mail. 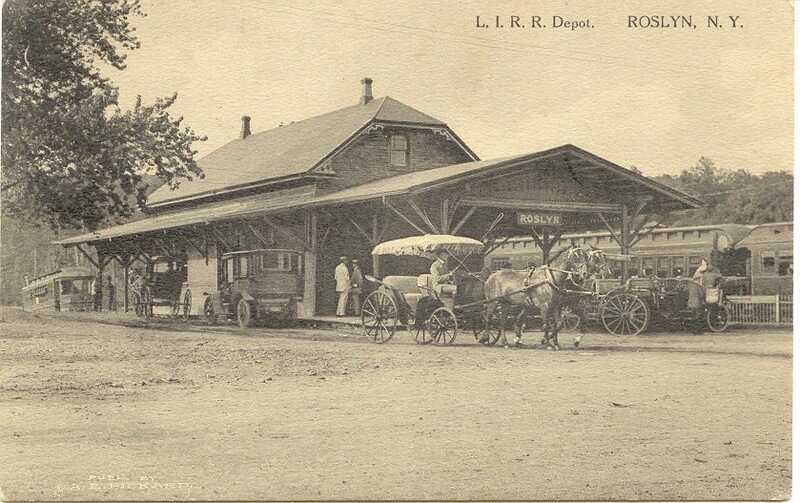 Mail arrived by train twice a day and was quickly taken down the hill to the post office in Roslyn Village by horse and carriage for sorting and delivery. The Gate Lodge for the Mackay Estate was only a short ride down the hill from here. Corner of Main Street and East Broadway. Click here for a topographical map to help you see where these scenes were in relation to Harbor Hill, Roslyn Village, Hempstead Harbor, etc. More views on Next Page.